One of the biggest money questions of our time is the investment question. Many people are anxious about investing in anything. Traditional investments like savings accounts and CD’s pay almost trivial amounts and no one seems to know where the stock market is going. Where should we put our money (if we have any)? 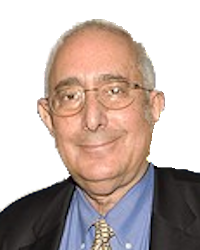 When Ben Stein was interviewed for an article in Forbes he answered a question about the points in his book, How to Really Ruin Your Financial Life and Portfolio , as to which of the 49 mistakes people make with their finances is the most critical. What mistake do you suppose it was? I might not have guessed what he would say, but I certainly agree that his point is well taken. It has been my judgment for years that investing in either a total stock market mutual fund or a Standard and Poors 500 index fund is the safest and most profitable way to invest in the stock market for most people. However, in these days the most important question is probably whether or not to invest at all! A lot of folks are afraid to invest in stocks right now. And understandably so. With the many uncertainties of the economy right now any right thinking person has to be concerned with all things of a financial nature. Stock prices have been steadily rising for a long time in spite of the financial crisis, reaching an all time high (17,138.20) on July 16, 2014. Still people are generally leery of what may be coming. In fact, those fears were only heightened by a big drop as we approached and entered August all the way below 16,500 and then 16,400! But soon the numbers started inching up until they now exceed the prices at the beginning of January. You can believe that before you know it we will be setting new records. So, in my judgment, now is a time to buy not sell. Because fear was not justified, it was never a reason for avoiding investment once the initial hit of the crisis stabilized. 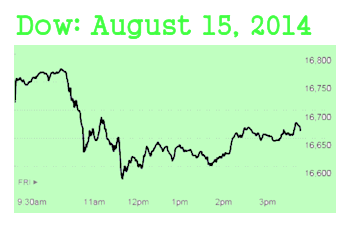 There are always fluctuations in the stock market. 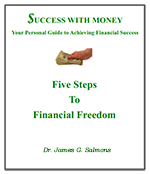 If your money has been invested in savings accounts or CD’s you know how little you have made! Perhaps enough in a month to buy a cup of coffee on an account of several thousand dollars. There are no better places to earn from your investments. There are several factors that lead to the case for confidence in the stock market and those who adopt this view—as I do for now—have kept their investments in the market and added to them as funds have been available. As a result our investments have grown significantly while others have earned little to nothing with theirs. The first reason for having a basic confidence in the stock market is this: businesses have adjusted to the fact that people have less money to spend. They have cut back on payroll and other expenses to match lower revenue and are now stable. Their profits may not match what they were a few years ago, but they are dependable as long as general economic conditions do not change in a major way. The second reason for expecting the stock market to continue to rise is that the government continues to print money at a high rate, a rate that is not reflective of any increased productivity. This reduces the value of the dollar and means that the stock market will naturally increase incrementally without any increase in the underlying value of the companies listed. The third reason for anticipating growth in the stock market is a guarded one. Being in the market today is OK even if it will not be next year. The third point requires a little explanation. Uninformed market watchers wonder at how the market can continue to rise when the economy struggles and government makes petty and obviously inadequate attempts to get its budget under control. But the explanation is obvious to anyone who understands basic economics. 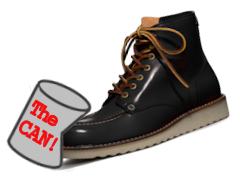 There may be a significant problem, even a catastrophic one, in the future but “kicking the can down the road” means things will go on as they are for a while. Government policy is destined to make things far worse at some point, but until there is either a collapse or self-discipline to work seriously on the problem the markets will grow based on what are essentially government subsidies based on increased debt. Should I Still Invest in the Stock Market? My goal with Success With Money is to help people learn to think for themselves. There are people who should not invest in the stock market ever because they do not have the disposition that allows them to sleep at night if they do! Furthermore, I would not tell any one person what to do as far as investing in the stock market at any time, but especially now. However, this is my opinion and what I do. I have maintained my investments, and as opportunities arise to invest more I do so—for now! But that said, I will keep my eyes open and watch carefully what is happening around me. The traditional idea is that the stock market reacts to daily events based on long term expectations. In my opinion, while investing for the long term is one thing, the day to day performance of the stock market is very fleeting and often short sighted. That is why the stock market continues to grow when the government decides to make totally inadequate steps toward fiscal responsibility. The big factor that people ignore about the stock market is the fact that investments do not have to be long term, even though we may invest for the long term overall. I can put money into my mutual funds and I can take money out at the click of a button. In a few years government over spending, Medicare and Social Security issues must be dealt with and the consequences of inaction now may be huge. But in the short term the stock market will grow partly because of the stability of most private businesses and because of Federal Reserve policies which at the same time are keeping interest and other income potentials low. Effective money management calls for careful planning and consistent monitoring of results as well as making occasional adjustments if you expect to reach your financial goals. This is one area where all of these are important. You must have investments to avoid a bleak future. Certainly in retirement you cannot expect to live on Social Security, especially as you look at the fiscal stability of that program in a few years. Today you cannot earn much on most of the common investments outside the stock market. But if you do invest in the market, keep you eyes open for the changing conditions ahead.